Ambergris Caye, Belize, November 22, 2016	(Newswire.com) - ​After a lot of patience from public consultations, media familiarization and project launch announcements, the Blackadore Caye project was finally approved. Blackadore Caye is one of the most famous islands now that is located near the top tourist destination in Belize: Ambergris Caye. This island was bought by the famous Hollywood actor Leonardo DiCaprio with the goal in mind of creating an environmentally friendly resort. This project was launched by Leonardo DiCaprio himself together with the former extravagant Wall Street banker Paul Scialla. The project was proposed with an approximate Belize $800,000,000 budget on the plan has been through a lot already. It was criticized by some tourism stakeholders, local fishermen, and conservationist for its plan to create over-the-water structures. Hence, the development of the island during its proposal was just minimal but they didn’t stop there. As a matter of fact, they never stopped from doing the project with the same goal in mind of keeping the ecological considerations. So, the Blackadore Caye project was finally approved by the Department of the Environment, and will continue now that it has passed the environmental impact assessments. According to the Channel 5 News, the Minister of Tourism and a resident of San Pedro Town, Manuel Heredia, definitely gave his blessing to the project. He believes that this project will not only benefit the town of San Pedro but also the whole country of Belize since it will be a great example to the world. The minister himself has met the people behind this project who are experts in the field and with enough research to restore the island that made him encouraged and confident to provide the green light. Investors already accepted the project according to Dionne Chamberlain-Miranda from Blackadore Group’s public relations. As long as there will be no over-water structures for rent or sale, they agree on this historic project. Jim Reilly, the director of Environmental Protection said that really focus is on restoring the island. Their team was divided with the goal to conduct development and environmental protection, and island restoration while getting scientific data. With the help of their water-quality technology, they were able to help some NGO stakeholders in the vicinity and other organizations. But the most important benefit of this project is to add to the GDP of Belize. 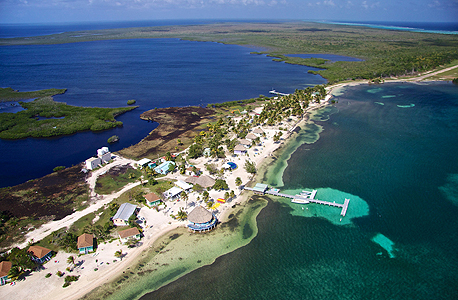 The Blackadore Caye restoration was reported to be working with the government and environmental groups together with the managers from Hol Chan Marine Reserve. This is to ensure that island’s safety while enhancing its natural habitats in the vicinity. Lastly, the restoration team will soon announce more employment opportunities for the construction project.